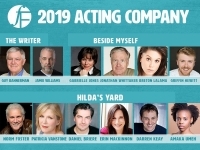 The Foster Festival is proud to announce the line-up for the 2019 season, which will once again feature two World Premieres written by Norm Foster, highlighted by the Festival’s first-ever original musical, co-written with long-time collaborator Steve Thomas. 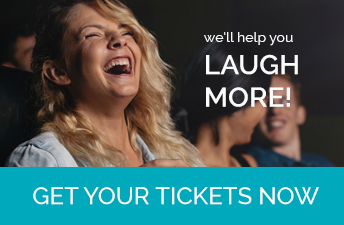 The Foster Festival closes its third season with the world premiere of Renovations for Six, one the funniest and most ingenious plays by Canada’s most produced playwright I have yet seen. 2019 Surprise Subscriptions Now On Sale! The Foster Festival's 2019 Surprise Subscriptions are now on sale! 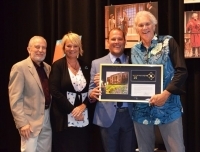 On Friday, ahead of the world première of Foster's latest play, Come Down From Up River, St. Catharines Mayor Walter Sendzik presented the acclaimed Canadian playwright with the Key to the City. 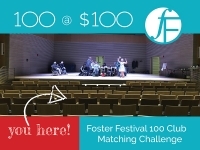 This summer, The Foster Festival is challenging our audiences to MATCH their 2017 Total 100 Club Donation - $100 at a time!